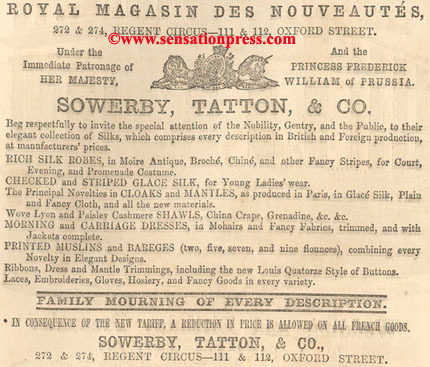 Silks, cloaks, mantles, morning and carriages dresses etc., as well as mourning. 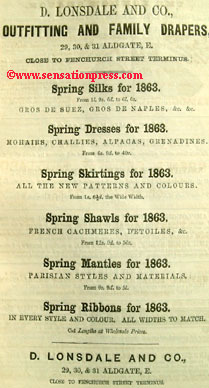 silks, dresses, skirtings, shawls, mantles and ribbons. A beautiful collection of made-up skirts and costumes. 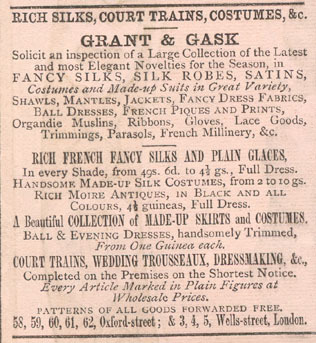 Ball and evening dresses, handsomely trimmed.